Spring – such abundance and riotous growth – beautiful!! 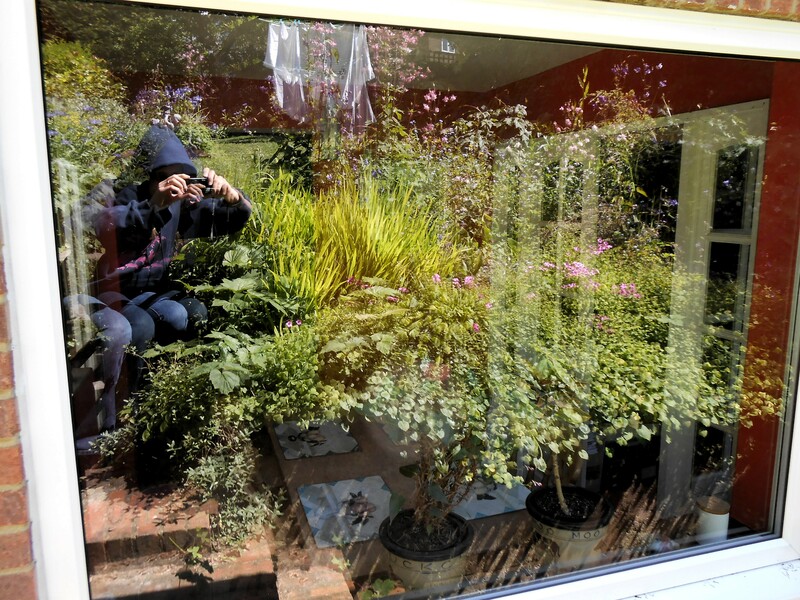 That reflected image in the window of the rockery plants (and the washing on the line) really drew me into it. I was sitting in my favourite chilling-out place on the steps outside the kitchen window, eating a sandwich at lunchtime, and the sun was in just the right place to create this other world. Perfect. I’ve nominated you for the Inspiring Blogger Award! Hi Vikki. Thanks ever so for nominating me, and, of course, I accept 🙂 Always glad to inspire! Will post something on my blog in due course, but am being disciplined about finishing my novel, so please bear with me for a few days.